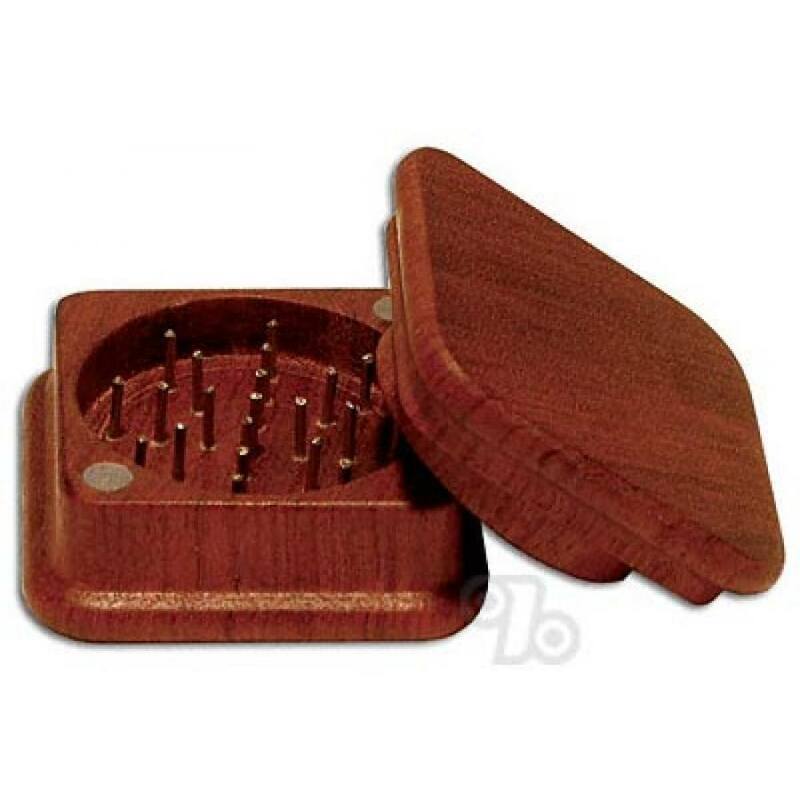 This fine Rosewood Herb Grinder is made from aged & cured plantation-grown rosewood, stainless steel pins, and magnets to hold it together. Offers excellent ergonomic grip and is designed for the long haul. Guaranteed not to warp with regular use. The 1905 Rosewood Grinder - Named for the year that the patent for the first hand-held tobacco grinder was granted, the 1905 line displays the craftsmanship and ingenuity that America was known for at the turn of the century. The century-old original design is the foundation of all modern handheld tobacco grinders. I really enjoy using this grinder. Have a space case too for the heavy duty stuff but this wooden one is great for just chilling on a Saturday. to spend the money on this grinder. The pins inside really don't do a great job at grinding the material and the rosewood itself soon becomes sticky and difficult to turn.